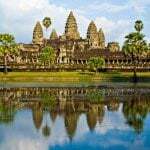 Cambodia is popular for being home to the World Heritage Site of Angkor Wat. 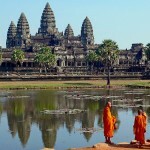 The successor of the powerful Khmer empire, Cambodia, draws a large number of tourists for its intoxicating treasures. 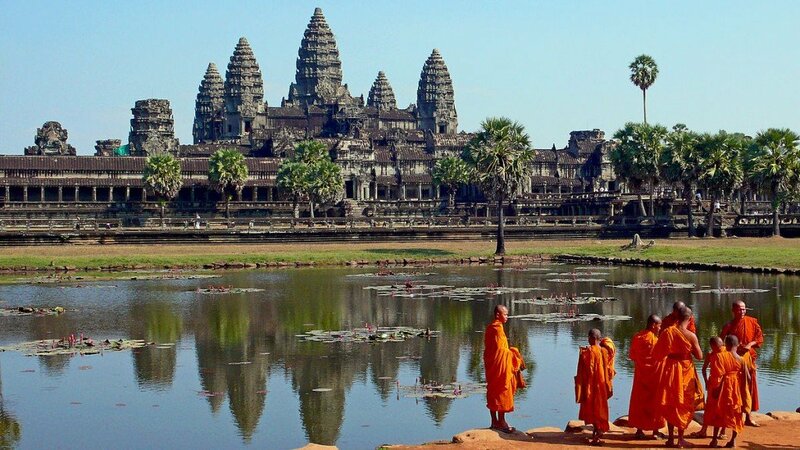 The capital city of Phnom Penh conjures with the steeples of the royal palace and has become a hub of the economic activity. You can experience the flavor of rustic life in Cambodia. Endless paddy fields and swaying sugar palms yield a nostalgic effect of the good old days against the contemporary life. 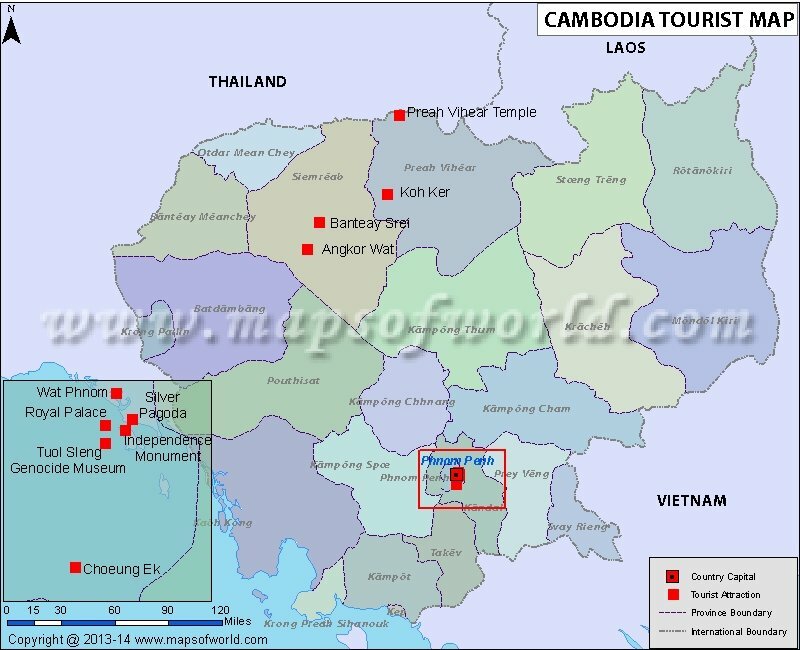 Banteay Srei, Silver Pagoda, Bayon, Angkor Thom, Preah Vihear Temple, and Banteay Kdei are some of the interesting places frequented by the tourists in Cambodia. The freshwater dolphins are seen playing in the Mekong River.